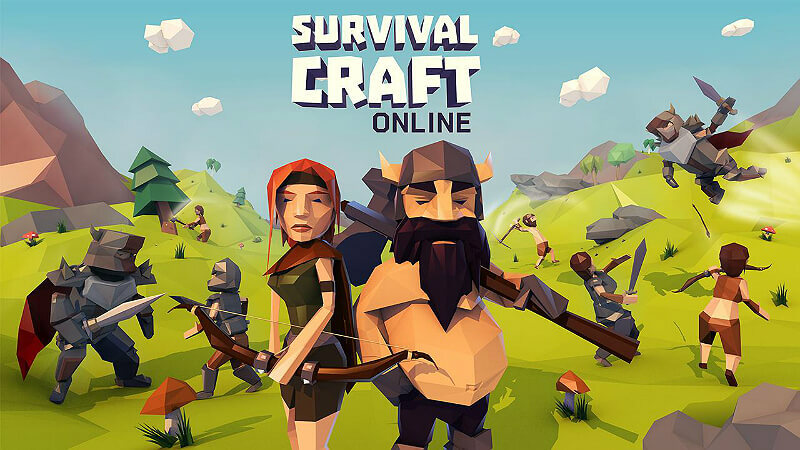 Survival Craft Online for Android is an interesting game where you can run with your friends, create new objects, buildings and just enjoy the gameplay. On the Islands and Rapanui of Easter, where there are the enormous stone idols, you live next to the ancient tribes. The inhabitants of the settlements are engaged in hunting, extraction of food and a variety of resources. However, not all settlers are engaged in peaceful activities. Some of them are weapons, masters; others are warriors who protect their island from enemy attacks. Now, they create powerful fighting groups, and land troops on the neighboring island in order to capture some treasures or trophies. Aborigines build primitive shelters and dwellings. They realized that it was much easier to survive as a community than alone. Therefore, in hunting, and in war, they go collectively. Moreover, they have to hunt rather large wild animals. At the beginning of the game, you will have to create your own hero, girl or guy; specify the name and then try to survive in a very green and colorful world consisting of a huge number of polygons. Together with other players, you will build houses, create weapons, ranging from sharp axes and swords to bows in which arrows have iron tips that can affect any opponent. All actions in the game will take place in the third person, where you will watch your character from the back. During the passage of the game, you will have to follow two main indicators: the health and strength of our hero. The first will decrease only during entry into battle, and the second is gradually reduced and spent more quickly if you are engaged in the extraction of useful resources and participate in the battle. The ability to play and communicate with your friends.